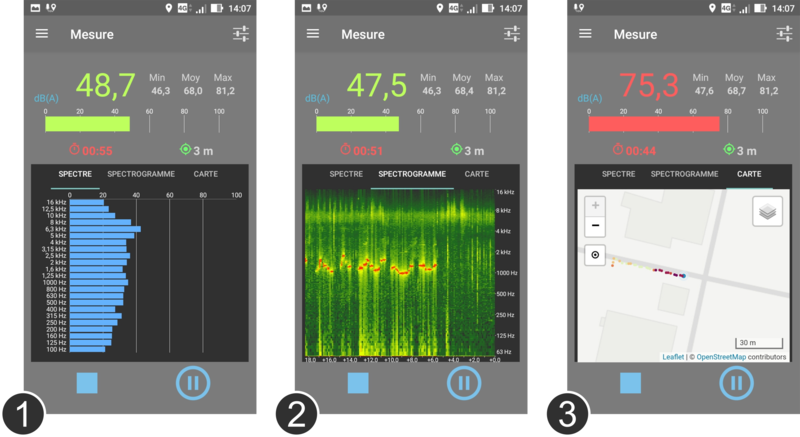 In this page you will find informations about the use of the NoiseCapture app. Once you are in the "NoiseCapture" page, click on the "Install" icon. ...or flash the this QR Code. 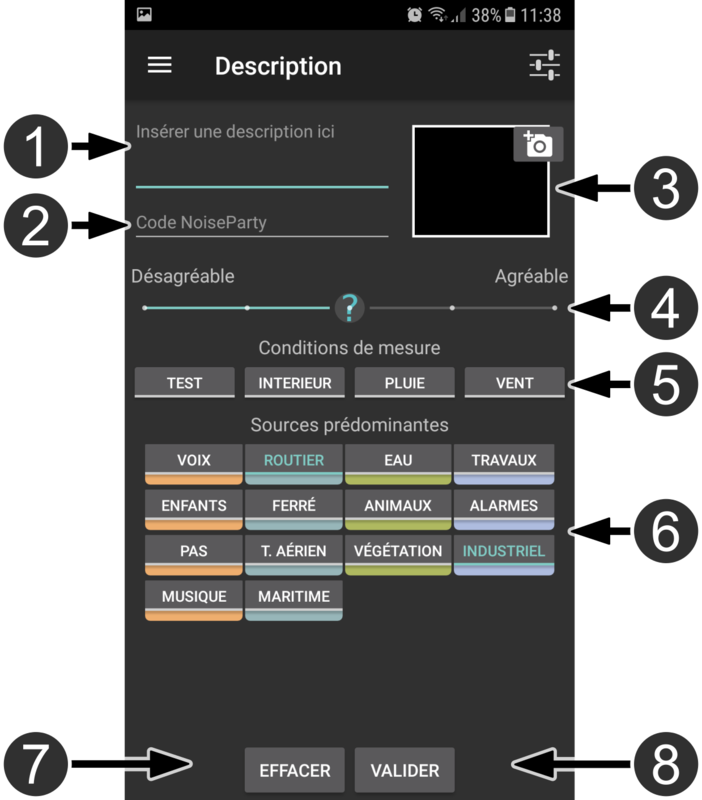 Alternatively, you can also download NoiseCapture from the free Aptoide store. Your smartphone has to have at least Android 4.0.3. 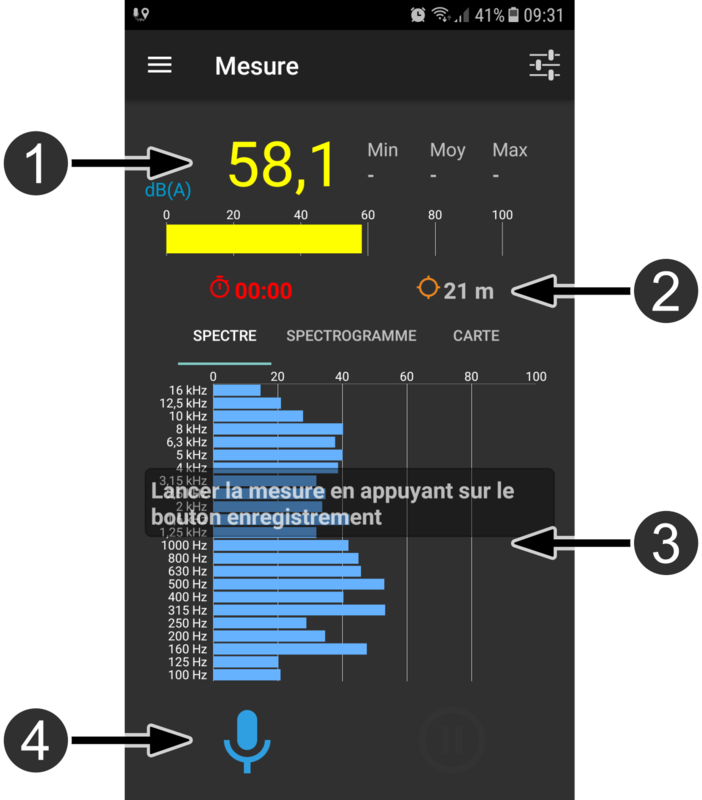 In addition, we encourage (if possible) users to calibrate their smartphones. For more informations, please consult this page. Recording button: press it to start the measure. Pause recording button: press it to pause the measure. 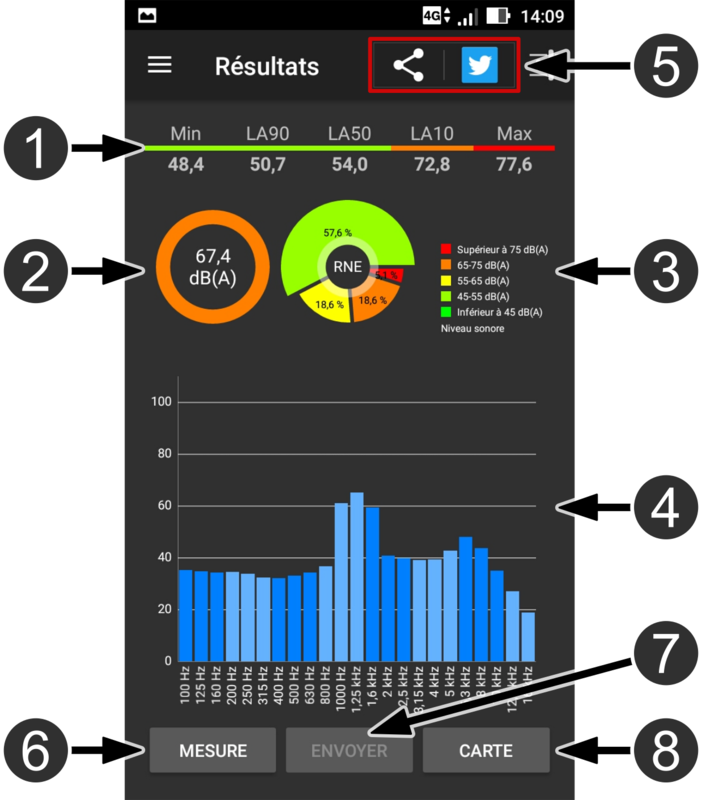 Map : follow in real time on the map where you already made measures and where you should go. Validate the description and your measure. ** This information is private and is not uploaded on our server. Show the resulting measure in the map. 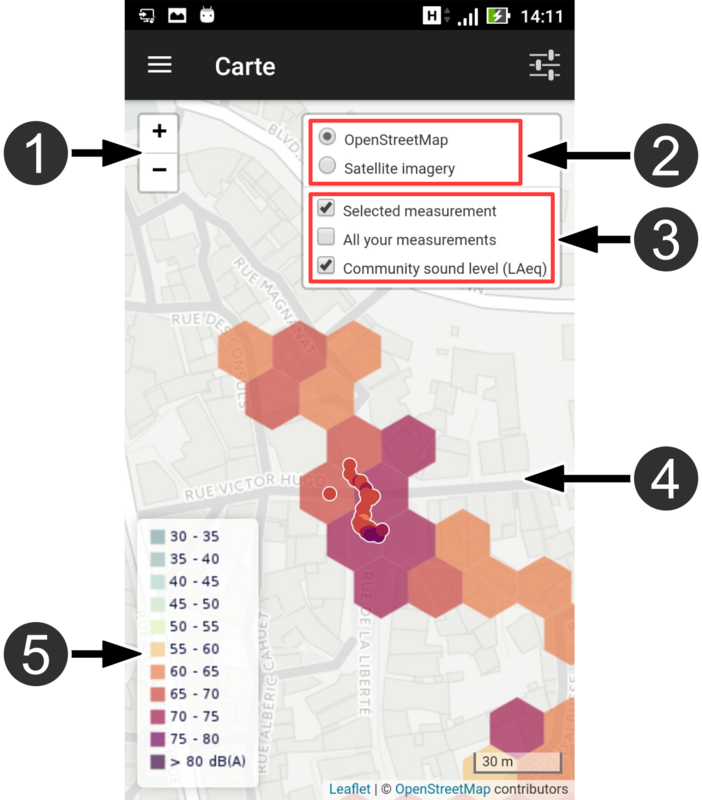 * You can also access this community map with a web browser from a computer (recommended solution for better display) with the following web link: http://noise-planet.org/map_noisecapture/index.html. 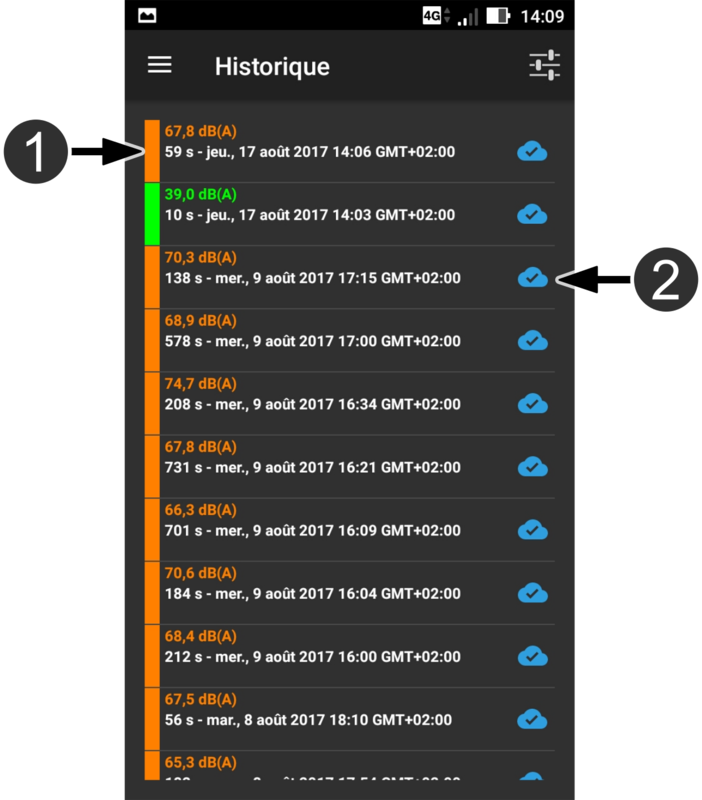 Visualize a cloud icon that indicates if the measure has been uploaded or not on our server (blue means that it has been uploaded). Do not hesitate to move (walking) during a same measurement, trying however not to add a noise that would be related to your displacement (the measurement in two-wheels or in car should be avoided). If you are in a rather quiet place, it is recommended to do the measurement without moving, but by regularly changing position (i.e. one separate measure by location). The duration of a measurement is an important point: prefer a measurement over a long duration (several tens of seconds), than several measurements of a short duration. 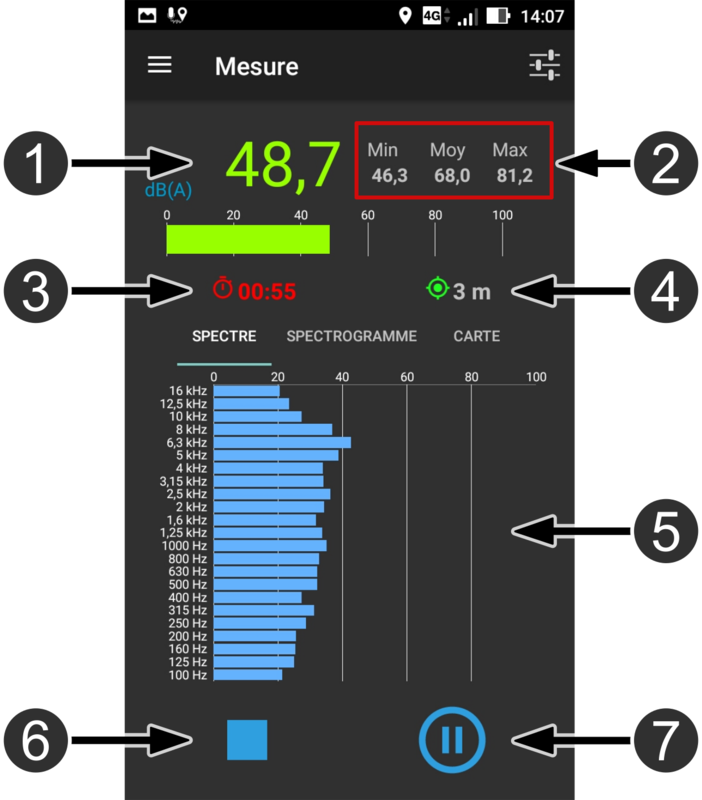 Make a noise measurement without making any noise yourself! It is possible to use an external calibrated microphone with a better quality. Allow an error report to be sent if the application is stopped prematurely.